A hearing test will indicate the severity of your hearing loss, your ability to understand speech when presented at a comfortable level, and whether your hearing loss is attributed to your outer, middle or inner ear. At SoundChoice Hearing we conduct our hearing test in a virtually soundproof room to ensure accurate test results using one of the most advanced PC based audiometers in the state of New Mexico. Our hearing test equipment is calibrated annually to ensure accuracy and, as mandated by State laws, meets all federal standards. 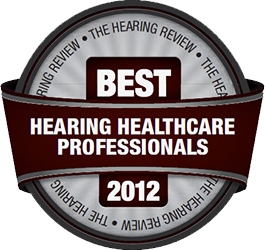 All hearing test are administered by a board certified hearing specialist and are completely painless. The hearing test takes less than 45 minutes and a friend or family member may join you in the testing lab to ensure you are comfortable. At SoundChoice Hearing we offer a free hearing test and consultation to all clients who test drive a pair of hearing devices. Our Free Week Test Drive program allows you to experience what it sounds like to wear a pair of premium technology in your own personal environment for a full week — risk free. After we measure your hearing levels and review the results from your hearing test we can better determine the degree of your hearing loss and recommend the best hearing technology for you. *Fill out the short five minute hearing survey below to give us a better idea of your hearing loss before you schedule a hearing test.There are many steps that are part of a hearing aid evaluation. If you suspect that you might need a hearing aid, you will first need to have a hearing evaluation. At the time of the hearing evaluation, a case history will be taken to determine how much your hearing problem impacts your day-to-day life as well as the lives of your family. A complete history will be taken, and questions will be asked about when and how the hearing loss started, if there is ringing in your ears (tinnitus) and if you experience dizziness. You may also have to provide some basic questions about your general health history.